Offered for sale are two lots totaling approx. 3.17 Acres currently zoned, R1 - C (allowing for up to 10 SFR Lots) with a possibility to change zoning to PRD-A (Planned Residential Development - A) and increase density significantly. 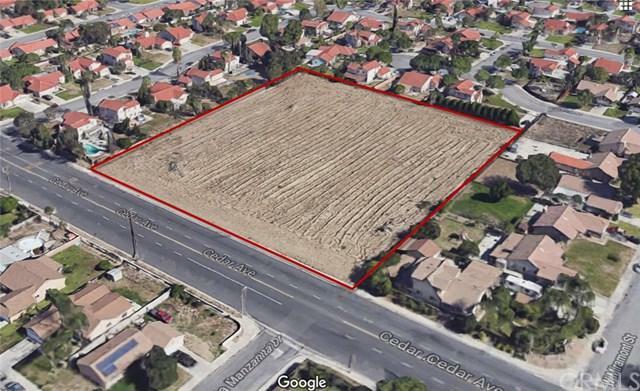 Located in Bloomington, CA but under the sphere of influence of Rialto, Ca this property is ready to develop. Utilities are nearby and many of the studies have already been completed for the site i.e. Aerial Survey, Preliminary Soils Report, Percolation Test, Grading Permit and more. go direct to tour the site or call the listing agent for more details. Excellent location just north of the 10 Freeway on Cedar Ave. The neighborhood is primarily Single Family Residential and this is one of the last remaining development opportunities in the area.